If your washing machine isn’t cleaning your clothes as well as you would like, it could be due to user error or something could be wrong with the machine itself. Here are the top five reasons why your washing machine isn’t cleaning properly, and step-by-step directions on how to remedy them. Your mom may have taught you to separate your darks from your lights, but it’s possible you missed the lesson on exactly how much laundry you should be putting in during each cycle. When you stuff your washer to the gills, you may think you’re being efficient with your detergent, water, and time, but this can actually make the washer much less effective. If you have overloaded the washer, the clothes won’t be able to move around as freely, and therefore it’s less likely to eliminate dirt and grime from all the surfaces. In order to avoid overloading, make sure the clothes aren’t packed in too tightly and that the washer tub is no more than three-quarters full. Surprising as it may be, all of those buttons and settings on the washer are there for a reason. 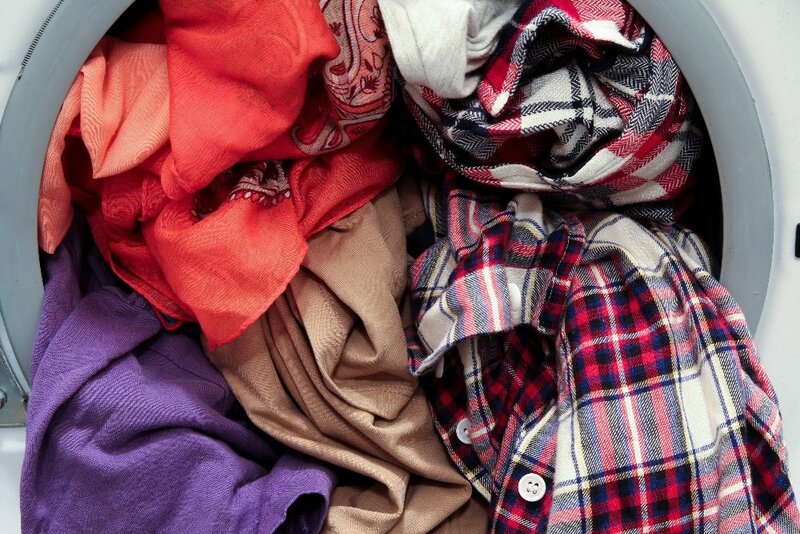 If your clothes are continually coming out of the washer looking less-than-fresh, the culprit could be that you’re using the same cycle for all of your clothing—no matter what the labels say. The normal setting isn’t always appropriate for every item of clothing that you own. Take the time to look at all of the labels on your clothing and keep in mind which clothes need to be washed alone, in small groups or on a delicate cycle. When is the last time you cleaned out the drum of your washing machine? If the answer is “I can’t remember” or “never,” then you may have identified the reason for your clothes coming out all disheveled. Although it may seem like your washer is self-cleaning because of all the detergent that goes inside, it occasionally needs to be deep cleaned to eliminate all of the dirt and grime that builds up over time. First, put two cups of vinegar into the washer and run a cycle on hot (without putting any clothing in the tub). The vinegar will remove bacteria and any odors caused by mildew. Next, you’ll mix together one part vinegar with four parts warm water in a bucket. Using your sponge and your toothbrush, clean all of the nooks and crannies inside—including the detergent dispenser, fabric softener dispenser, and the inside of the door—and out. Finally, run an empty cycle on hot to do a final rinse. You should clean out your washing machine every six months or when you start to notice any odors or residue on your clothing. Another reason why your clothes may not be getting clean enough is that your washing machine tub isn’t draining correctly due to a blockage in the drain hose. This can occasionally happen when you wash an item like a rug that sheds a lot or a small object like a child’s sock. To check the drain hose, detach it and look for any kinking or obstructions, removing any items if you find them. If it looks worn or badly damaged, you should replace it so that the washer will drain better. If there is nothing obviously blocking the hose, remove it and then reattach—the problem may be lying in the drain pump filter. If the washer isn’t draining correctly and you’ve identified that it isn’t the drain hose, then it could be your drain pump filter that’s blocked. When a drain pump filter is blocked, it can prevent the water from draining and leave your clothes smelling like mildew. Small articles like keys, jewelry or bobby pins can get captured by the filter, but over time it can become so clogged that it will affect the washer performance. 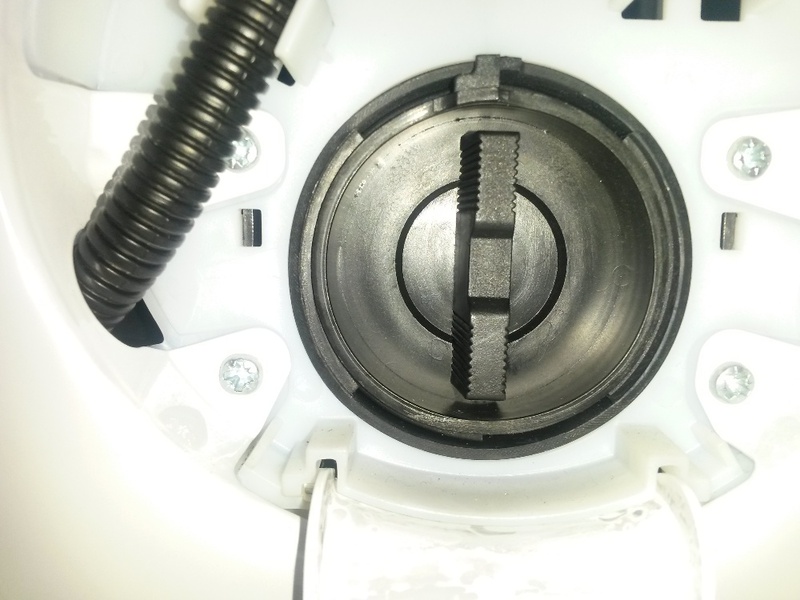 To clear the pump filter in a front loading washer, begin by unplugging the washer. Once it’s disconnected from power, identify where the pump filter is. Typically, there is an access door on the bottom (refer to your manual to double check). Open the access door and grab a shallow dish and place it underneath to catch any excess water. Turn the filter knob counterclockwise slowly and allow the water to drain into the dish. Take the pump filter all the way out and remove any debris that it caught. Slide the filter back in and turn clockwise until it’s tightly secured. Close the access door and then test a cycle to see if the water properly drains. If the washing machine still isn’t cleaning your clothes as well as you’d like, there may be an underlying problem that you don’t know about. That’s where Puls’s team of professional technicians are here to help you troubleshoot and fix the issue fast. Our skilled technicians can get to your house quickly—even as soon as the same day as you book the appointment. You can rest easy, knowing that all of our work comes with a 90-day guarantee on all of the parts and labor. We know how fast that laundry can pile up, so we’ll be glad to get your washing machine back in working order in no time. Schedule an appointment online in seconds to get started - you’ll be glad you did.